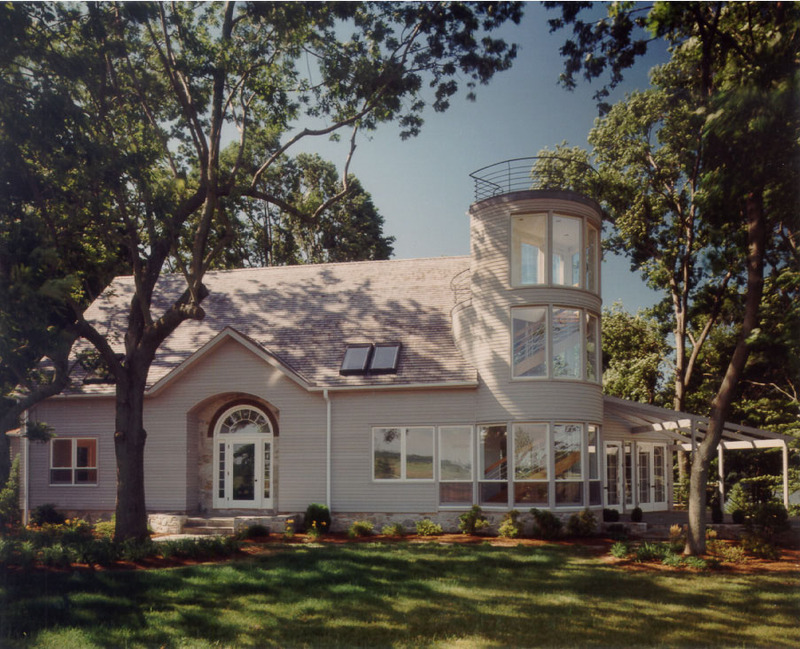 Just as Frank Lloyd Wright did with so many of his residential home designs, our approach to this home was to integrate it with the natural setting. 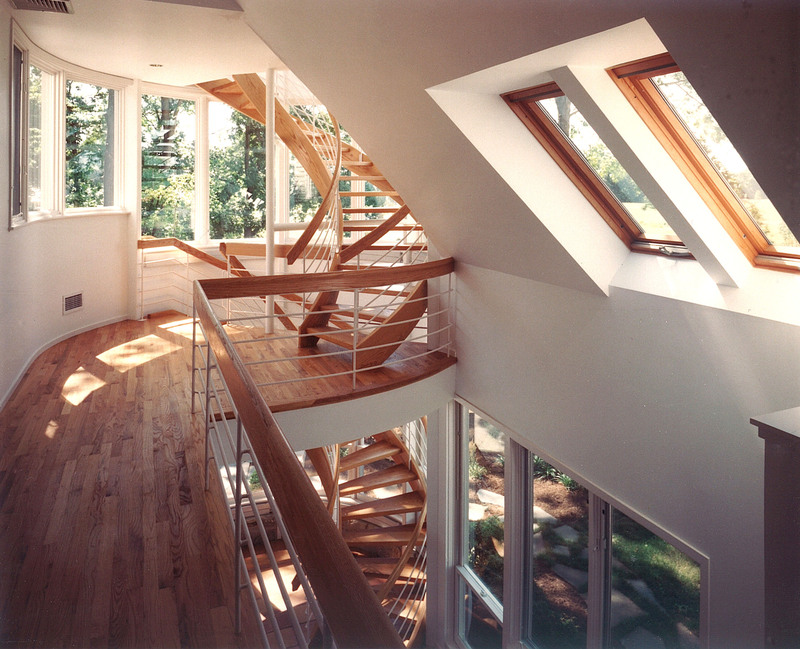 Lines and shapes reflect nature, surrounding the house with the beauty of the landscape. The magnificent setting for this home in a wooded crest on the slope to the Sassafras River, was our starting point, with the approach terraced to the front door. 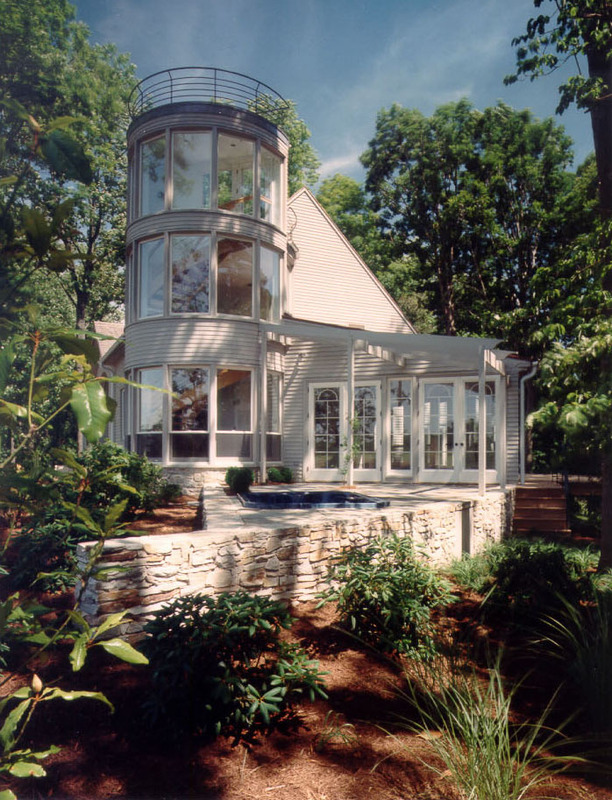 We created a long axis for the house that parallels the river, providing a spectacular view from every room through the use of windows that literally provide a tower view from both outside and inside the home. Stone walls form a backdrop for plantings and landscaping that nestle the home within its environment. As you approach the house, you have a feeling of quiet serenity reinforced by the natural tones and materials used in the exterior, including cedar siding and roof shakes, stone, brick, and lead-coated copper. Nautical design elements bring the water theme from the river level up to the main house. The curved tower spirals like a lighthouse with steel ship railings at the top. 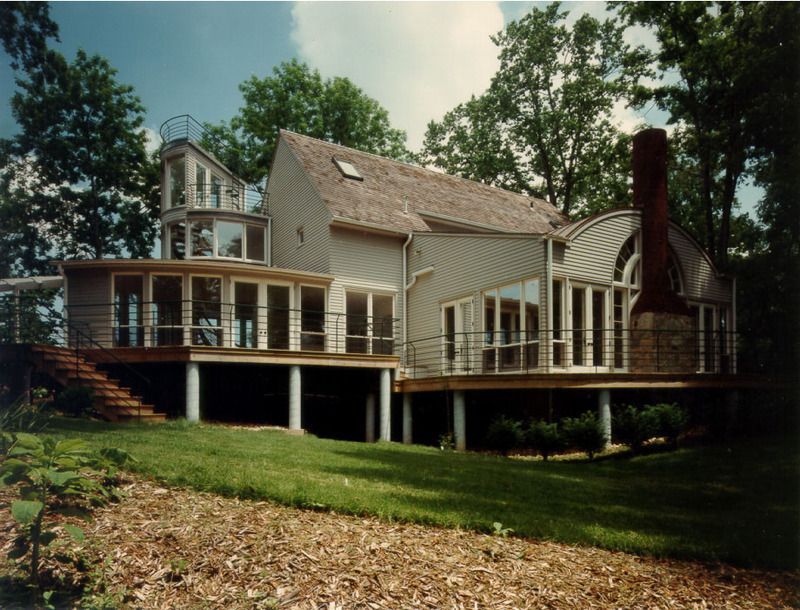 The back of the home is elevated on boat-dock style pylons that allow unimpeded access to the yard. Vast expanses of glass take advantage of the privacy of the setting by bringing the view inside all parts of the house. Decks and porches are defined by metal cabling like the decks of a ship, providing safety barriers without intruding on the panorama beyond. The fireplace has a central location on the back wall, surrounded by glass that allows the homeowners to enjoy the warmth of a fire with the view of the water. Inside the tower room is a helix staircase that replicates the feeling of floating in the air while ascending to the observation deck at the top where there’s a spectacular 360-degree view. This breath-taking design feature is the first impression from the main entrance of the home, spotlighted with skylights and the full wall of glass in the tower, enhanced by the soft pale colors of the walls and ceiling. As you reach the second floor of the tower room, you become aware of how the sculptural integration of all the architectural features combine with the elements of air earth, water, and light. 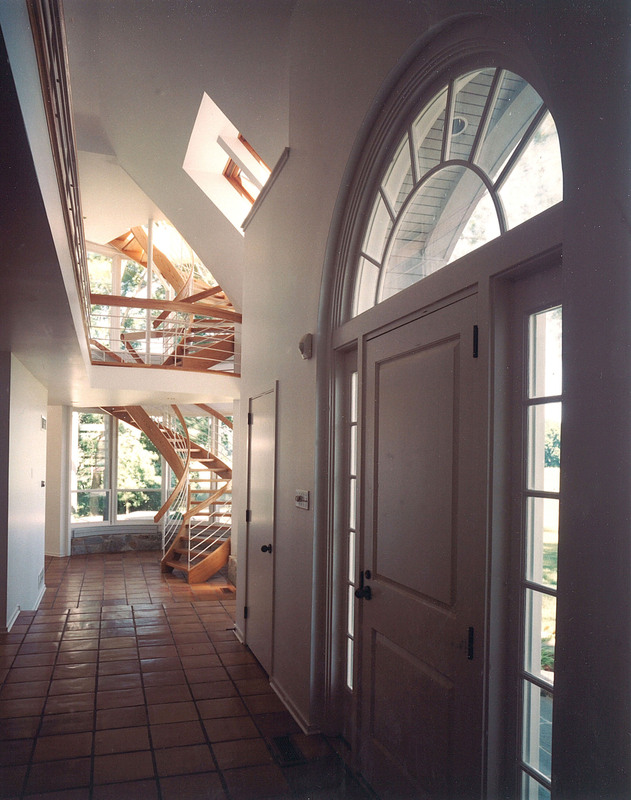 Views of the ground, sky, and river are embedded within the walls and ceilings, in a clever use of windows, angles and curves.